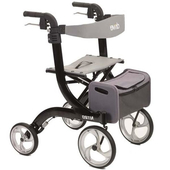 This lightweight rollator is light to carry at a weight of only 7kg. 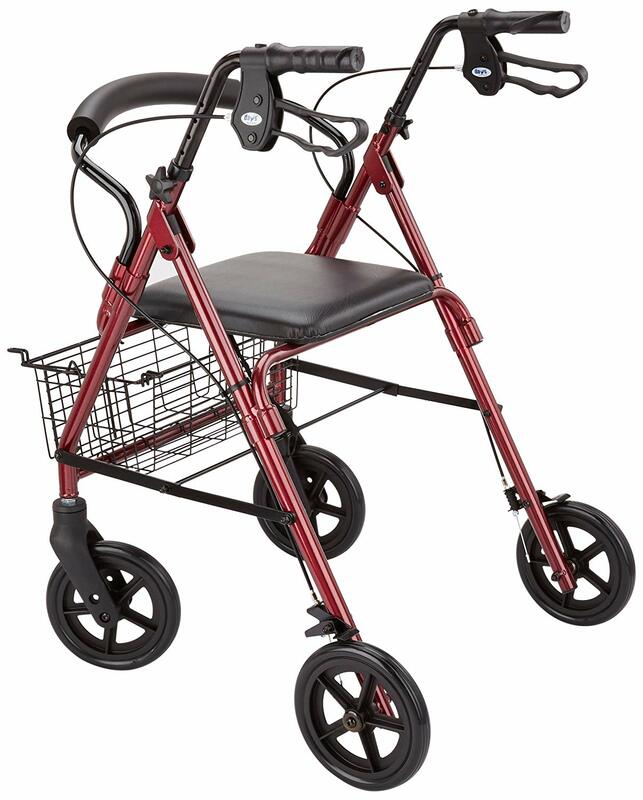 It is designed to easily fold up for storage, features height adjustable handgrips and includes a basket under the seat for holding personal items. 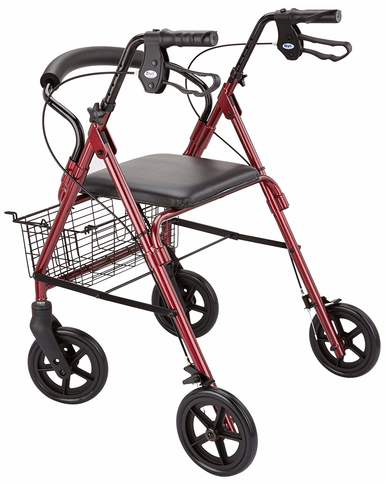 Height adjustable contoured handles ensure a comfortable ergonomic position while walking to aid mobility. 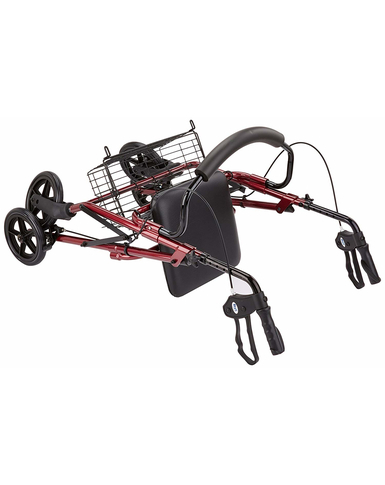 Simple to operate loop brakes, to secure stopping and lock into place for security. 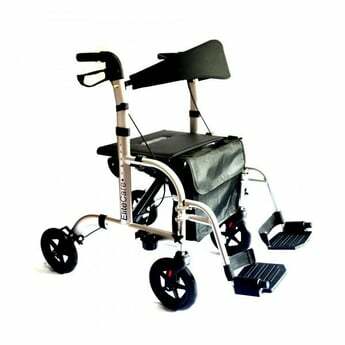 The frame is easily folded by lifting the seat and pulling the back strap attached.